We still need more families to make a pledge of any generous amount that one can participate. Please consider praying to God about the amount that you would like to make to our campaign, ending in June 2021. Personally, I would like to ask those registered families who haven’t yet pledged to give at least $1 dollar each day, #30 dollars each month, $360 dollars per year, during this period. At the end of the campaign, you can be proud of yourselves knowing that you have contributed $1,080 dollars for the campaign. May God grants us more families who would consider doing so. When it is possible, of course, please consider contributing more. Realize that the more we have, the sooner we will be able to build. With the help of God, we will build a solid faith foundation for the next generation of faithful to stand upon. Know that we are no different, more than 60 years later, than our founding pastors and parishioners who made the same sacrifice to invest in building the church, school, hall, kitchen, and office that we use today with the same intention: Spreading the Gospel of Christ throughout the world. Thank you so very much each and every one of you for your love, prayer, participation and generosity. May God reward and bless you and your family abundantly. Congratulations on the Approval of our Building Project! On Tuesday, 10/23/2018, the City of Tustin Planning Commission approved the final design of our entire Building Project: to build both a Meeting Room building and an Administration building, and to remodel the existing offices by expanding the kitchen, upgrading the restrooms, and creating a Youth Center. The approval indeed allows us to move forward the Construction Drawings for the first phase, which is the 2-story, 9,936 square foot Meeting Room building. It extends from the ramp behind the north exit door of the church (near by the two restrooms) to just behind the statue of Jesus (near by the curb). We deeply express our appreciations to the parish architect Aric Gless, our Construction Committee and the City Planning Commission Staff for all their hard works during the project. On behalf of St. Cecilia Community, I am very grateful to each and every single one of you for your prayer, participation, and generosity of your time, talent and treasure toward the entire Building Project and the current Capital Campaign to bring us closer to having this much needed facility. A minimum goal of $4 M will enable us to build a Meeting Room building. A challenge goal of $5 M will enable us to build the Meeting Room building and provide $1M toward the Administration building. An ultimate goal of $7 M will enable us to complete the entire building project. Should you have yet to participate in any donation, may this be the point at which you join the parish success. Please do not hesitate to contact Deacon Bill (ext. 12) or me (ext. 14) to help you to set up your monthly online direct donation by using your credit card or banking transaction, or to help you to receive your monthly envelopes and a colorful donation box to place it at home, or anything else. We are here to be happy to serve you. 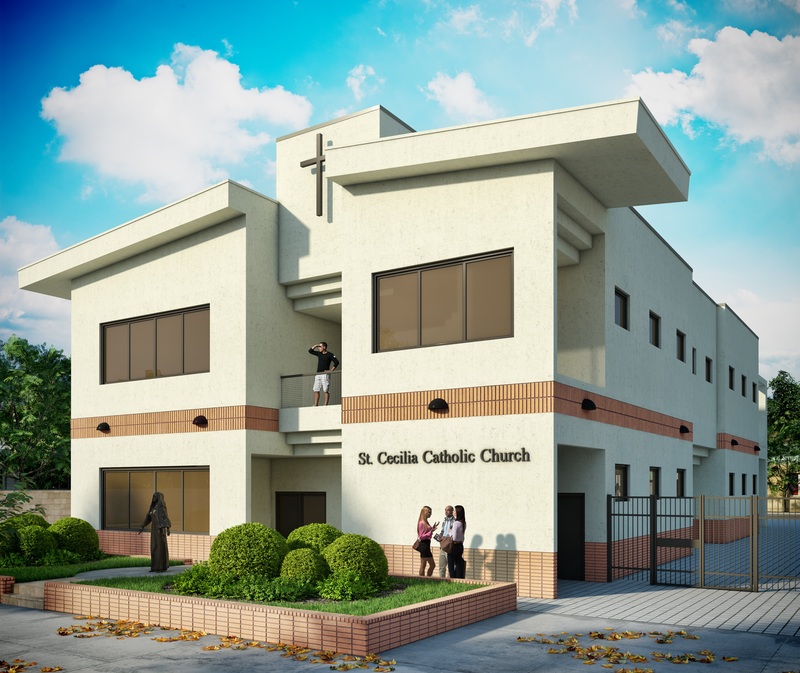 With the help of God and yours, we hope to have a significant ceremony of breaking ground of the Meeting Room building on Thursday, June 19, 2019 which will be exactly on the date of our parish 62nd Anniversary of the Dedication of St. Cecilia Church. Note that between January and June of 2018, St. Cecilia Church accepted your generous building fund contributions and recorded those contributions on our St. Cecilia books. We sent a statement to each donor. It includes your 2018 Sunday Contribution (such as Weekly Giving, Ash Wednesday, Easter and Christmas), 2018 Other Contribution (such as Christian Service, School Suppor t, Mission Offering and Feast Days) and 2018 Building Fund Contribution from January to June of 2018. Between July and December of 2018, your building fund contributions were sent to the OCF who is managing our St. Cecilia Parish Capital Campaign (PCC) for the next three (3) years. Those contributions are recorded on their OCF books and they will send a separate statement to each donor. It only includes your 2018 PCC donations made to St. Cecilia Parish Capital Campaign between July and December 2018. You will receive a separate statement from the OCF for your 2018 PSA and OLLV donations. Realize that your St. Cecilia Envelope ID Number is different than your OCF ID number. After comparing the two statements to all of your individual records, and if you still find an error, please provide copies of all your information to the Parish Office for the attention of Deacon Bill Weeks and he will be researching it accordingly. Allow at least five (5) business days before a reply is sent. Next January 2020, St. Cecilia Church will send you a 2019 Charitable Contribution Statement that will only include two contribution funds: your 2019 Sunday Contribution and 2019 Other Contribution because all of your building fund donations are now recorded on OCF books as your 2019 Parish Capital Campaign contributions and the OCF will send you a statement of these PCC contributions. There are a number of special opportunities available to donors of qualifying gift amounts that make possible specific, tangible benefits and offer the donor the unique chance to dedicate these gifts in honor or memory of whomever they choose. Gift amounts do not necessarily reflect the item’s exact cost. Rather, they are based on the item’s prominence, our needs, and our community’s gift abilities. 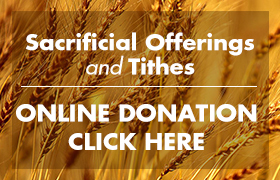 Gift contributions may be made over the entire three-year giving period. Recognition will be given when the gift is received in full. Items With * have been taken. There’s still time to make an IRA charitable rollover gift in 2018 to support all the various programs and ministries you love here at St. Cecilia.
. You pay no income taxes on the gift. The transfer generates neither taxable income nor a tax deduction, so you benefit even if you do not itemize your tax deductions.
. If you have not taken your required minimum distribution for the year, your IRA charitable rollover gift can satisfy all or part of it.
. You can support St. Cecilia from what might otherwise be the most highly taxed asset in your estate.
. You must be 70 ½ years old or more at the time of your gift.
. You may transfer up to $100,000 directly from your IRA to St. Cecilia each year.
. Contact your IRA administrator to transfer your IRA directly to St. Cecilia. May God constantly bless you and your family, and may God reward your generously sacrificial gifts. For more information, please contact Deacon Bill at the parish office 714-544-3250, Ext. 12. Thank you! Please consider making Your Sacrificial-Gift to support our St. Cecilia Parish’s Capital Campaign to build our newly buildings. We are deeply grateful for your generosity and loving support throughout the year and in particular Your-Sacrificial-Gift. Please be assured that we send the tax deductible letter to you toward the end of January 2019. Please do not hesitate to contact Deacon Bill Weeks, our Business Manager, at 714-544-3250, Ext. 12, or Fr. Bao Thai at 714-544-3250, Ext. 14. Thank you for your charitable and sacrificial giving! May God bless you abundantly! Please consider making your Year End Giving Gift to support St. Cecilia Parish’s Capital Campaign for Building Fund. We ask that you may use the parish vanilla envelope designated for Capital Campaign, and write your parish ID envelope number on it. If you do not remember your parish ID, please write your full name, address and phone number on the envelope. In addition, you may consider donating your Year End Giving Gift as your Christmas and New Year’s gift to St. Cecilia’s Ongoing Operation Fund. We are deeply grateful for your generosity and loving support throughout the year and in particular your Year End Giving Gift. Please be assured that we will send you the parish tax deductible letter to you in January next year. Please do not hesitate to contact Fr. Bao Thai at Ext. 14, or Deacon Bill Weeks, our Business Manager, at Ext. 12. Thank you very much for your charitable giving! May God bless you abundantly! Pledges payable over three years are easier for many, enable most to make larger gifts than they otherwise might outright, and are therefore essential to meeting our goal. Gifts may be made in monthly, quarterly, semi-annual, or annual installments at the donor’s discretion. A 10% initial investment is encouraged. Non-cash gifts are an additional or alternative way you can support our cause. You may, for example, wish to consider gifts of securities such as stocks and bonds; gifts of real estate; or even personal property such as artwork, automobiles, jewelry, and antiques. Deferred gifts are another option you may wish to consider. These are gifts that can be given or arranged for now, but will not be received until later. They include gifts through a person’s will by bequest, gifts of life insurance policies or annuities, and gifts in trust. As always, together with my fellow clergymen, Fr. Ismael, Fr. Nicolaus, Dcn. Bill, Dcn. Dong and Dcn. Rafael, I am deeply grateful to all of you for your devoted support of immeasurable generosity, constant prayer, enthusiastic participation and Christ-like love for our St. Cecilia’s faith community. With the intercessions of the Diocesan Patroness Our Lady of Guadalupe and our Church and School Patroness St. Cecilia, may Almighty God reward and bless each and every one of you and your family abundantly through Jesus Christ! Heavenly Father, whose generosity cannot be outdone, open our hearts to the needs of our parish as we prayerfully discern our generous sacrificial contribution to our capital campaign to expand our Church campus so we may better know, love, and serve You and our neighbor and may fulfill the task of evangelization that You have entrusted to us. We ask Your blessings and rewards on those who will donate their prayers, time, talents, and financial resources to this most worthy cause. Through the intercession of Our Lady of Guadalupe and St. Cecilia, in Jesus’ name we pray. Amen. Padre Celestial, Cuya generosidad no puede ser menos, abre nuestros corazones a las necesidades de nuestra parroquia mientras discernimos en oración nuestra generosa contribución de sacrificio a nuestra campaña capital para expandir nuestro campus de la Iglesia para que podamos conocerte, amarte y servirte mejor, a ti y a nuestro prójimo y podamos cumplir la tarea de evangelización que nos has encomendado. Te pedimos tus bendiciones y recompensas para aquellos que donarán sus oraciones, tiempo, talentos, y recursos financieros para esta causa tan valiosa. Por la intercesión de Nuestra Señora de Guadalupe y Santa Cecilia, en el nombre de Jesús oramos. Amén. Lạy Cha trên trời, Đấng từ bi nhân hậu, xin mở rộng tâm hồn của chúng con để đáp ứng những nhu cầu cần thiết của giáo xứ như khi chúng còn thiết tha khẩn cầu, những hy sinh đóng góp cho chiến dịch vận động để mở rộng khuôn viên Nhà Thờ của chúng con để chúng còn nhận biết, yêu thương, phục vụ Chúa và tha nhân tốt dep hơn và có thể hoàn thành sứ mệnh loan báo tin mừng mà Ngài đã ủy thác cho chúng con. Chúng con cầu xin Ngài ban phước và thưởng công bội hậu cho những ai dâng lời cầu nguyện, hiến dâng thời gian, tài năng và tài chính cho chương trình xây dựng hữu ích này. Qua sự cầu bàu của Đức Mẹ Guadalupe và Thánh Cecilia, chúng con cầu xin vì danh Chúa Giêsu Kitô Chúa chúng con. Amen.